The girls 14-17 age group of the recent Little Brown Jug Junior Golf Classic with walking scorer Mary Hilborn pose for a shot. The city of Delaware is continuing its efforts to improve the financial situation of the Hidden Valley Golf Course’s following what some consider the successful return of a youth golf tournament. The nine-hole, par 28 executive course at at 580 W. William St., west of downtown Delaware, had 6,563 rounds of golf played from April to June compared with 6,388 rounds during the same period in 2016 with memberships and punch cards included. Also, there were 1,030 people on the driving range for the second quarter compared with 899 people in the second quarter 2016. Hidden Valley has more leagues including adult programming from the YMCA, said Lee Yoakum, community affairs director for the city of Delaware. Yoakum said rainy days have a negative impact on the course. On July 8, the Little Brown Jug Junior Golf Classic return from its one-year hiatus with the Kiwanis Club of Delaware County, Noon Club as a first-time sponsor of the tournament. Some city officials consider this year’s competition had one of the largest turnouts, if not a record, with 65 golfers, in the its 42-year history. About 90 percent of them signed up the last two weeks to register, said Ed Schlote, the Kiwanis member who coordinated the event. The organization is likely to sponsor the tournament next year, he added. “It was a very positive response,” Schlote said. Hidden Valley opened in 1968 and the city took over ownership about seven years later. Since 2004, the course’s fund balance absorbed a typical loss of about $15,000 a year, according to the Hidden Valley Golf Course Strategic Plan for Sustainability, developed by a working group the city organized last year. But the balance could deplete within three to four years based on the financial trend, the city reports. The group recommended price adjustments to encourage more youth golfers to visit the course. One adjustment was reducing the weekday price of a nine-hole game for students from $8 to $7 for ages 13 to 22 and setting the price at $5 for players under the age of 12. A nine-hole game costs $1 more on weekends. Delaware City Council approved this change and others in March. Parks and Natural Resources Director Ted Miller partly credits the lowered price for a possible increase in youth golfers this year, based on his conversations with the course’s staff. 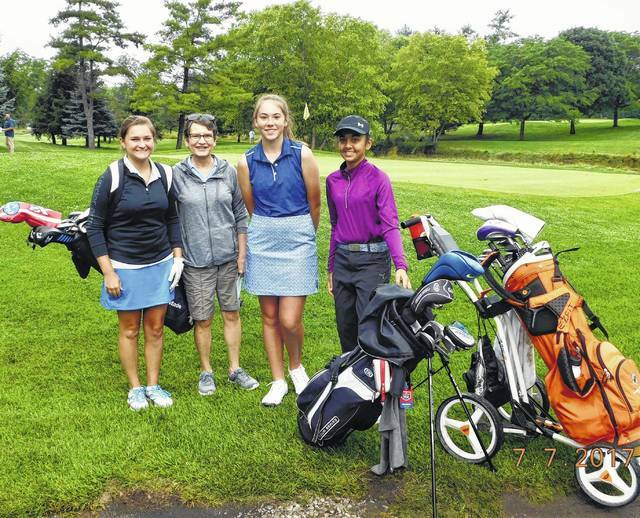 The city reports students played 851 rounds of golf from April to June. “More people are using the golf course and that’s a good thing,” Miller said. In addition, the city has experimented with family nights at the course by offering a $10 admission for a parent and a child to golf for nine holes after 3 p.m. Friday through Sunday. “There has been a soft roll-out of this special that will be ramped-up in the second half of the 2017 season, and more in 2018,” Yoakum said. The working group’s strategic plan also proposed improvements to the course’s marketing and operations. This improvements included the use of social media, finding a sponsor of the junior golf classic tournament and having driving-range games such as Tic-Tac-Toe. The Parks and Recreation Advisory Board approved the plan with some parts in place and other items to be implemented. But the plan’s recommendation to sell alcohol at the Hidden Valley’s clubhouse will require council action, Yoakum said. Yoakum added there is no timeline for bringing the issue up for council’s consideration. “We’re still researching on how it can be implemented if and when council would want to take up the issue,” Yoakum said. Parks advisory board member Joshua Bricker, who was part of the working group, supports the sale of alcohol at the course. Schlote declined to give his views on the sale of alcohol at the course but said he would support council’s decision.